What makes Uruguay stand out? For starters, it is the country with the highest GDP per capita in Latin America; it has a broad middle-class, modern infrastructure and solid institutions. Foreign and local investors receive equal treatment, private property is strongly respected and there are no restrictions on the movement of capital in and out of the country. Transparency International has consistently rated Uruguay as the least corrupt country in Latin America throughout the years. The Economist Intelligence Unit rates Uruguay as the most democratic country in the continent. And the World Justice Project rates the country at the top of the list in terms of rule of law. A solid and predictable legal system. Social stability, thanks to the existence of a middle class, relatively low levels of poverty and the lowest ratio of income disparity in Latin America. An open economy, with free flow of capital (inward and outward) and free convertibility of currency. Equal treatment (guaranteed by law) to local and foreign investors. Generous tax incentives to investment projects, large and small. A dozen free trade zones, from which hundreds of global companies operate with offshore customers, tax free. 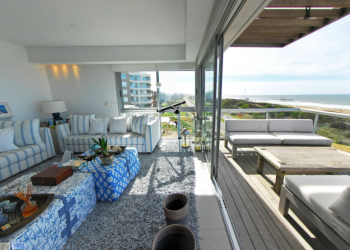 So, what does Uruguay offer for expats? Uruguay has a stated policy of welcoming foreign nationals who wish to live in the country. There is no immigration quota, nor does Uruguay´s immigration authority discretionally reject applications. It is not required that the applicant invest in the country, either. As long as the applicant meets some simple requirements permanent resident status is always granted. The documents that are required are: the applicant’s birth certificate, a clean police record (which, for US citizens can be requested in Uruguay itself, at the local Intrepol office) and proof of some source of income to support oneself. The moment the application is turned in, the candidate is granted Temporary Legal Resident status and receives a Uruguayan identity document. The file then travels through a series of verification steps, and usually within six to eight months, Permanent Legal Resident status is obtained. Uruguay allows dual and triple citizenship. And the country’s passport is a very reputable one. So, if, after residency, one also wishes to obtain Uruguayan citizenship (and a second passport), the applicant needs to wait three years (if married), or five years (if single). This period starts to run from the moment one first arrived in Uruguay to file for residency, and the person needs to spend at least six months out of each of those 3/5 years in the country to obtain citizenship. The formal requirements to obtain citizenship are simple: two witnesses who can attest to the applicant’s connection to the country, documents that show activity in the country (such as visits to a doctor or a dentist, payment of social security taxes on an employee, a work contract or ownership of a business). You should spend in Uruguay most of your time: you may freely come and go, but you should provide evidence of residency at least six months of each of the 3/5 years in the country. 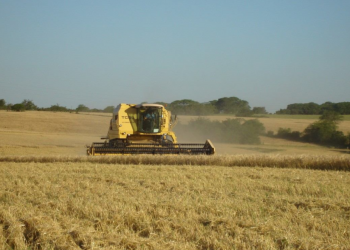 When it comes to investing, farmland is the favorite in Uruguay, since the country offers some of the best farmland in the world, and is competitively priced. The country is a global player in agriculture, in beef production and in the forestry industry. And it is no wonder that foreign buyers have been investing in land over the years. Farmland investing is a strategic option, with a solid underlying principle: world population continues to grow, demand for food increases, and available arable land decreases globally. So, farmland not only foresees consistent long-term appreciation possibilities, but also provides an annual cash return. It’s a non-volatile asset that serves as a perfect store of value in unstable times. Uruguay, with its temperate climate -which allows growing two crops per year-, abundant water, and non-degraded soil, offers some of the world’s best farmland investment conditions. And it has a unique tool for the inexperienced buyer: the productivity index and soil types and its uses can be verified online, for every single property in the country. This makes for a very transparent market, so buyers can easily compare properties and determine their fair value. Land prices start at just under USD 1,000 per acre and reach USD 3,000 per acre for the highly productive land. 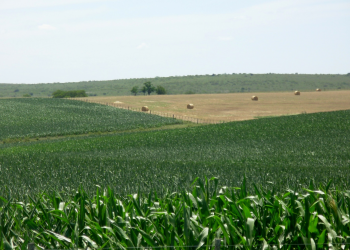 Farms come in all sizes, but it is recommended that the minimum scale one should invest in is 120 to 150 acres, preferably, of high-yielding agricultural land in Uruguay’s south, close to ports. This represents an investment of USD 650,000. 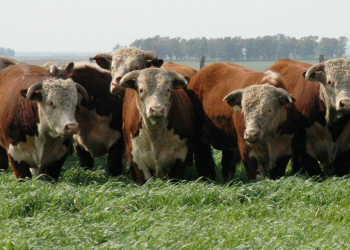 Most investors choose to lease the land out, but for those who wish to aim for higher returns, Uruguay has widespread expertise available: a farm management firm can easily be hired to run a farm for the absentee investor. Montevideo: condos in the coastline neighborhoods of Pocitos or Punta Carretas or in the Old City; houses in residential Carrasco. 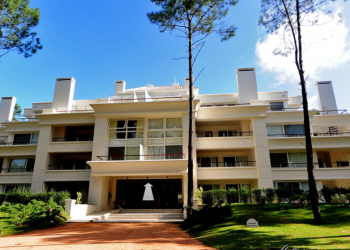 Punta del Este: beachfront condos or houses. Piriápolis, Atlántida or Rocha: houses near or on the coastline. Farms which are distributed throughout the whole country. 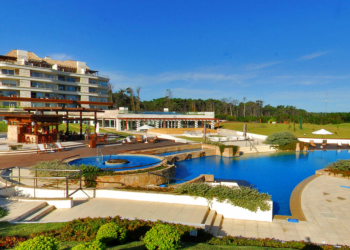 Punta del Este, South America’s most famous beach resort, the “St. Tropez of the South” is a favorite option for real estate investors. Punta del Este is a seasonal city, with a year-round population of 50,000, which swells to 500,000 in the summer months of December, January and February. It has all the attractions of a world-class beach resort, and the country’s most impressive architecture. With small condos just off the beach for USD 200,000, to large ones packed with amenities –for anywhere between USD 250,000 to USD 2 million. And large estates with ample land along its beaches, lakes and rivers, ranging from USD 300,000 to several million dollars.